Cincinnati Children’s is offering this live question and answer session to answer your questions about fertility issues in children, adolescents and young adults with cancer and blood diseases. During this event, our co-hosts, Holly Hoefgen, MD and Karen Burns, MD will answer questions from you and other families online in real-time. While significant medical advances have given children and young adults with cancer and blood diseases a better chance at survival, many of these lifesaving treatments (chemotherapy and radiation) can impact their ability to have biological children in the future. What fertility preservation options are available before treatment? How does my child’s treatment effect fertility? Does age play a role in fertility after cancer? Do cancer survivors have a higher rate of miscarriage? How soon after diagnosis do fertility treatments need to begin? What are the success rates of fertility preservation? The Comprehensive Fertility Care & Preservation Program at Cincinnati Children’s meets with patients whose medical condition or treatment regimens place them at risk for fertility complications in the future. Our team of pediatric gynecologists work closely with our oncology and hematology teams to provide all available fertility preservation options to our patients, utilizing the best and most up–to-date processes and techniques. The Cancer and Blood Diseases Institute at Cincinnati Children’s is a national leader in caring for children and adolescents with cancer. Cincinnati Children’s is ranked # 2 in cancer care in the 2015-2016 U.S. News & World Report listing for Best Children’s Hospitals. For general questions or to schedule an appointment, contact our Comprehensive Fertility Care & Preservation Program. In addition to providing general and specialty gynecologic care to girls and young women, Dr. Hoefgen is the lead gynecologist for the Comprehensive Fertility Care & Preservation Program at Cincinnati Children's. Her specialty is focusing on fertility preservation in patients with medical illness or treatments that threatens the function of their ovaries. She is also very involved in the Survivorship Program at the Cancer & Blood Diseases Institute, assisting with the long-term gynecologic needs of cancer survivors. 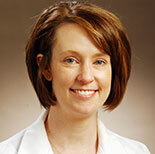 Karen Burns, MD, is the Co-Director of the Comprehensive Fertility Care and Preservation Program. 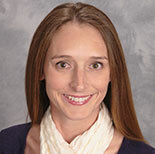 She also serves as the Director of the Cancer Survivor Program at Cincinnati Children’s.